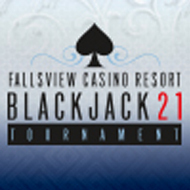 On Friday, May 3, 2019 Fallsview Casino will be giving away a grand prize of $25,000 in the Fallsview Casino Resort Blackjack 21 Tournament! On the hooves of last year’s success, Hats & Horses – Niagara Derby Day returns to the Meridian Centre on May 4 as Canada’s largest Kentucky Derby party. 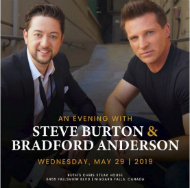 Come enjoy an elegant evening with General Hospital stars Steve Burton & Bradford Anderson or as you may know them as 'Jason Morgan' and 'Damian Spinelli'.